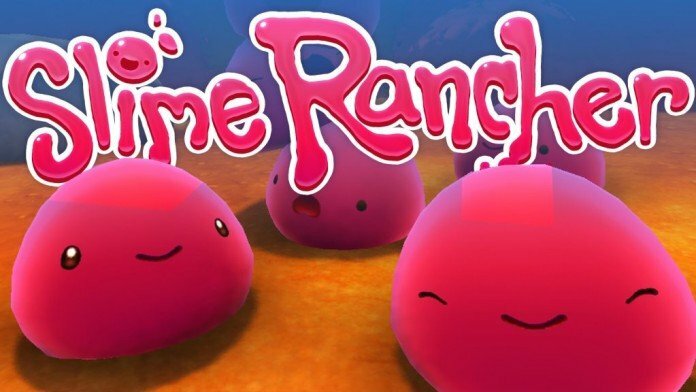 I never thought that a game like Slime Rancher – where you have to collect Slime, feed them and also go a little FarmVille and grow some crops for them – could be so amazingly entertaining and addictive. This is just an early access game, which means that it will get cooler and cooler as time goes by and new features get implemented, but even as it is right now, it’s a great game you’re probably enjoying a lot. As you know, there are multiple types of Slime available in the game for you to collect and care for and I am here to share with you a complete list of all the Slime Rancher Slimes, including a few details about them and their favorite types of food, so you can always keep them happy and producing plorts for you. So let’s not waste any time and let’s check out all the details about the Slimes in Slime Rancher! This is probably the first slime you’ll find in the game and the easiest to grow. They have no favorite food (which means that they eat everything) and are not dangerous for the rancher. Their plort value is 7. Very common type of slime which can also be found early on in the game. They prefer eating vegetables (Heart Beet is their favorite) and they are a bit dangerous: touching them will have you lose a bit of health. Their plort value is 15. You can find them in The Dry Reef and The Moss Blanket. They eat meat and their favorite food is Stony Hen. Although not directly dangerous for the Rancher, they can cause some trouble because they love to steal things, like fruits and veggies. Their plort value is 15. Found on The Moss Blanket, this type of slime produces really valuable Plorts. They eat meat, with the favorite food being the Briar Hen. Although they are not aggressive towards the rancher, they are quite dangerous as they tend to explode, causing a lot of trouble and even damage to the Rancher. You definitely need a music box in their corral to keep them from exploding as often. Their plort value is 30. These are very interesting types of slime that can only be found during the night in The Dry Reef and The Moss Blanket. They like to eat fruit, with their favorite food being Cuberry. They are sensitive to light, so you will either have to make sure to always vacuum them before sunrise or build the Solar Shield upgrade in their corral. Their plort value is 15. These delicious and peaceful types of slime can be found in The Moss Blanket. They also like to eat fruit and their favorite food is Mint Mango. Although not dangerous, the plorts they produce quickly attract other Slimes, meaning that there’s a greater chance of largos (more below). Their plort value is 30. Nice to have, but pretty demanding in types of requirements, the Puddle Slime can be found in The Moss Blanket. You need fresh water for them to survive, otherwise they will evaporate. They eat water, but they don’t have a special type of preferred food. Their plort value is 30. At the moment, there are also a bunch of Slimes that are not implemented or fully implemented in the game (but will surely be brought to life in future updates): the Hunter Slime, Mosaic Slime , Meteor Slime and Rad Slime. One very rare type of slime that appears randomly on the map and produces gold plorts which have a 200 value. You can’t grow them, so when you see them throw at them any resources you have in the vacuum. Just have in mind that apart from the Gold Plorts, they will leave all sorts of stuff behind, increasing the risk of getting Largos. Largo Slimes are special kinds of Slimes that are created when one Slime eats a plort from another type of slime. The resulting Largo is a “hybrid” of two Slimes and they are larger in size. They also produce two Plorts each time and they can go as high as producing 4 Plorts at once. Although the Tarr seems to randomly appear to wreak havoc, it should only be created when a Largo eats a Plort that’s not like the ones it produces. The Tarr eats other Slimes, destroys food and crops and can even harm the Rancher. It replicates instead of producing Plorts, so the situation can quickly get out of hand if you don’t handle it as soon as possible. You can only destroy them using Incinerators (costs 300 bucks to unlock) or by throwing them into the Slime Sea. You can also throw fresh water on it to stop it from spawning new Tarr and even destroy it. These are not the same thing as Largos – they are simply larger variants of the smaller regular slimes and they have the same food preferences like the smaller slimes. After you feed them enough, they will explode in a bunch of regular slimes of the same type, a few crates, and either Teleporter or Slime Key. These are, right now, all the types of Slimes in the game and all the details you need to know about them so you can easily plan your moves ahead and know how to deal with them when needed.